This workshop will explore and excavate the working process of taking a testimonial text from page to stage. Using Mike Alfreds methodology of text analysis we will work through a series of storytelling exercises, exploring the various techniques Alfreds used in order to bring to performance the testimony of Zdenka Fantlova, a Holocaust survivor. Jane Arnfield is both solo performer and co adapter with Mike Alfreds of The Tin Ring, which is part of Summerhall’s Festival Programme. "I am particularly fond of single-actor performances and Jane Arnfield's exemplified the best of that." "Supporting the development of great theatre is one of the key artistic principles for The Lowry. 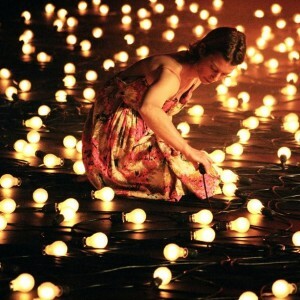 The Tin Ring is an incredible, inspiring story, brought to life by one of the country’s finest performers in Jane Arnfield, and most talented directors – Mike Alfreds. The Lowry is incredibly proud to have premiered this work in Salford"